Boska is obsessed with cheese, and with good reason. These folk, hailing from Holland, have had a deep love of cheese for over one hundred years, ever since a man named Willem Bos made cheese tools for the dairy farmers of Gouda. You’ve heard of Gouda, right? Yes, Gouda as in Gouda cheese! A hundred years on, and Boska are still making tools for those who love to explore the world of cheeses (however, there’s no room for plastic, pre-sliced cheese in Boska’s world, no sir). They’re happy to provide you with cheese slicers, graters, fondues, knives, boards, curlers and more – everything but the cheese itself! The Life collection is all about enjoying food with friends, with a twist on traditional serving methods. European paddle cheese boards offer an alternative to square wooden boards, while tasteful, organic shapes and natural materials complete any cheese-tasting and antipasto experience. Board made from European white oak. Two porcelain bowls for serving dips, snack foods, e.t.c. Hand wash recommended for board. 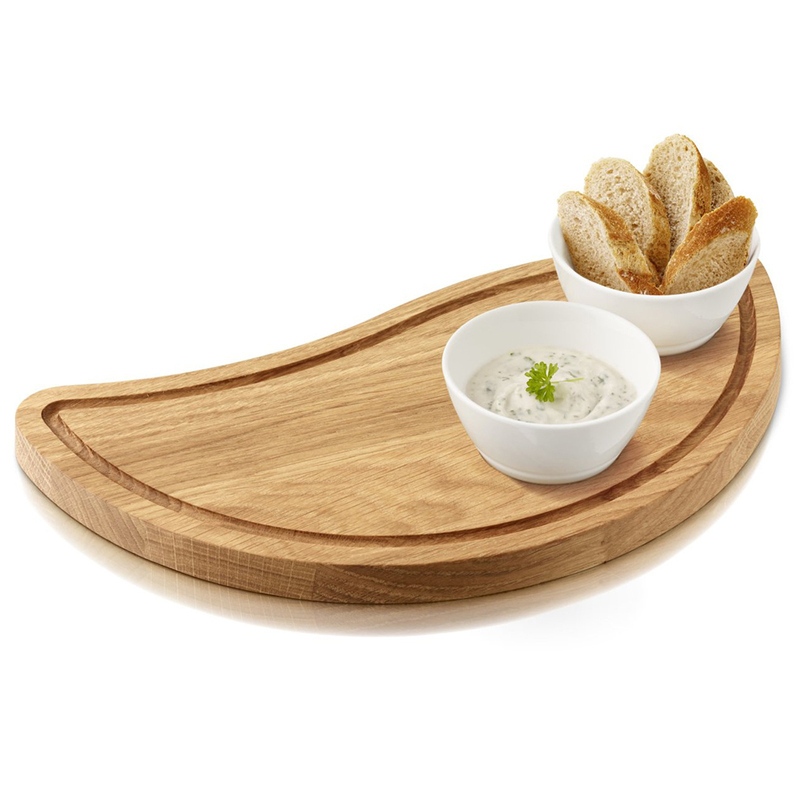 Serving Board – 29 x 16cm. 2 x Porcelain Bowls – 8 x 4cm.